For the PASSPORT 2001 fundraiser I collaborated with fashion designer Jessica McClintock who, inspired by my munumental photo kimonos, actually sewed and sculpted photographic strips representing the four elements onto the backs of the flowing robes. 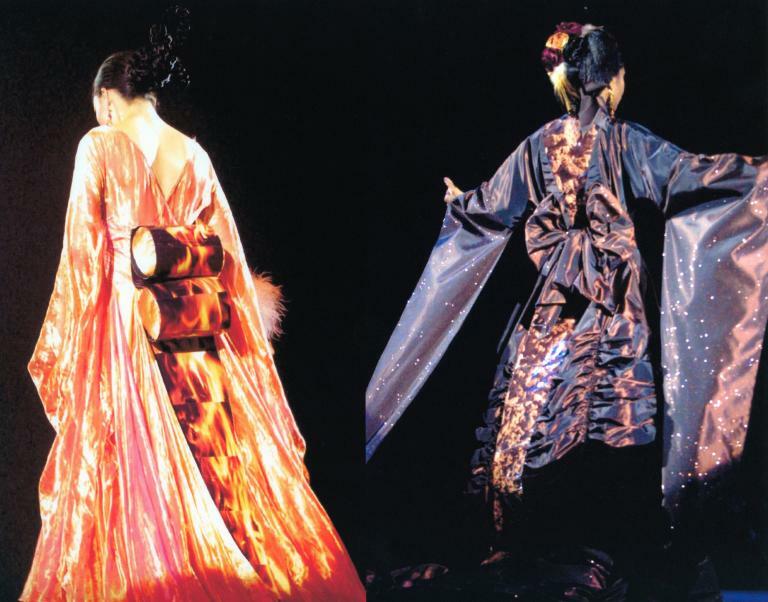 Victorian kimonos: taking inspiration from the monumental installation presented during the PASSPORT 2001 fundraising event – “Fire, Earth, Water, Air” – fashion designer Jessica McClintock interpreted the kimono in her inimitable “victorian” style, and created four “victorian kimonos” for the grand finale of the fashion show during PASSPORT 2001. Photographic strips representing the four elements were sewn in relief onto the flowing gowns.